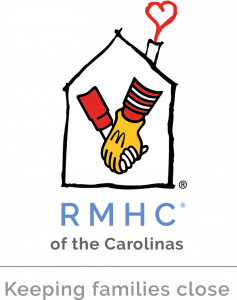 The mission of Ronald McDonald House Charities of the Carolinas is to keep families with sick children together and near the care and resources they need. We provide two programs located in Greenville, S.C., a Ronald McDonald House and a Ronald McDonald Family Room, that both directly improve the health and well-being of hospitalized children and their families. The first Ronald McDonald House opened in 1974 in Philadelphia, PA thanks to Dr. Audrey Evans, a pediatric oncologist at Children’s Hospital of Philadelphia. She had long seen the weary parents of the young patients she was treating and knew that if there was a safe, home-like setting for these parents to live while their children received medical treatment, the entire family would benefit. The parents would be better rested and less stressed, and the children would have the comfort of knowing their parents were nearby. When his daughter, Kim, was diagnosed with a rare form of leukemia, Fred Hill, former NFL player with the Philadelphia Eagles, experienced first-hand the difficulties a family experiences when a child is seriously ill. Hill approached the Philadelphia Eagles General Manager Jimmy Murray about raising funds to support the medical efforts for critically ill children. Dr. Evans shared with Murray her vision of a “home-away-from-home” for the parents of these seriously ill children. When Jimmy Murray approached the McDonald’s ad agency in Philadelphia, a beautiful partnership was born. Through the sale of Shamrock Shakes, McDonald’s and the Philadelphia Eagles raised the funds needed to purchase a historic mansion on Chestnut Street in downtown Philly. The idea of a Ronald McDonald House then spread to cities all over the country and world near pediatric medical facilities. 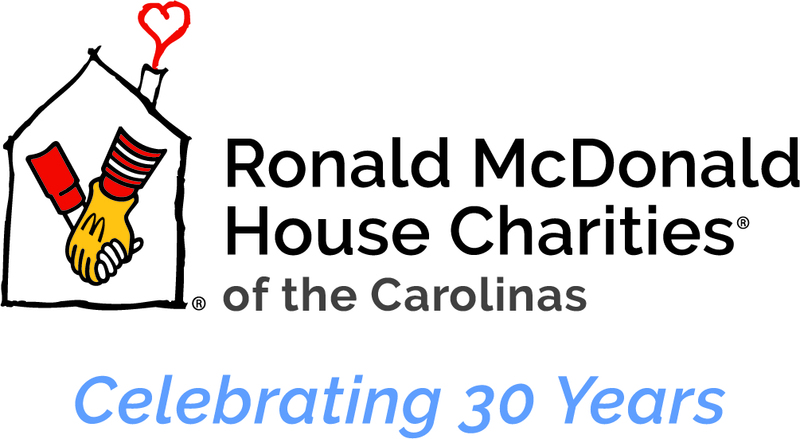 RMHC of the Carolinas was founded in 1989 by local McDonald’s owner and current board member, Frank Landgraff, in partnership with Greenville Health System Children’s Hospital and in response to a critical need for housing and emotional support for families whose children were being treated. Despite the relatively small size of Greenville at that time, Landgraff envisioned that hospital care for children in Greenville would grow as Greenville grew. On April 1, 1989, through the hard work of many volunteers and with generous community support, the House opened its doors on Grove Road. It features 12 guestrooms, private baths, a kitchen, living room, playroom and outdoor playground, laundry facilities, internet/phone access as well as a courtyard and a sunroom. Guestrooms are outfitted like a hotel room with private bathrooms, a queen size bed, a rollaway when needed, writing desk and flat-screen TV. Our House was built on the simple idea that nothing else should matter when a family is focused on the health of their child – not where they can afford to stay, where they will get their next meal or where they will lay their head at night to rest. We believe that when a child is hospitalized, the love and support of family is as powerful as the strongest medicine prescribed. But our services do more than keep families close during a child’s medical crisis. In 2001, we opened our Ronald McDonald Family Room located on the bottom floor of Greenville Health System Children’s Hospital. The room serves as a quiet place for any families that have a child receiving treatment on the Children’s Hospital’s 5th and 6th floor. We provide comfortable chairs to rest in, computer access, snacks, warm coffee and always a comforting ear to listen. On June 21, 2018, we opened the doors to a 17,500 sq. foot expansion of our Ronald McDonald House. Our “Building Hope” Capital Campaign was a multiyear $3.5 million fundraising campaign all brought together by the generosity of many donors. The expansion added an additional 12 guest bedrooms, an expanded guest check-in area, a spacious great room, an updated kitchen and more laundry facilities. With the expansion, RMHC of the Carolinas is now able to serve 24 total families at a time and we are able to adequately meet the needs of hundreds of more families in our community as they find hope and support. Today, RMHC of the Carolinas has served close to 12,000 families from the Upstate, our surrounding states and beyond our country’s borders. We are proud to serve so many families in need and could not continue to fulfill our mission without the constant support of our generous community.